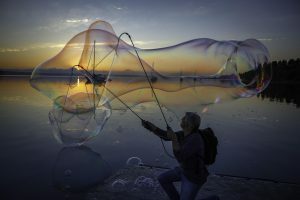 Thanks to photographer David Welton, Whidbey Life Magazine has been lucky enough to have a continuous series of colorful photographs that reveal the personality and beauty of Whidbey Island. What follows are some of Welton’s best shots taken for the magazine since its start 20 months ago. To see more of Welton’s photos, visit DavidWeltonPhoto.com. 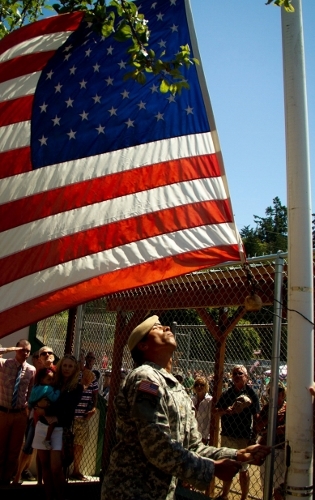 A soldier raises the flag at the Maxwelton Fourth of July Parade in 2013. 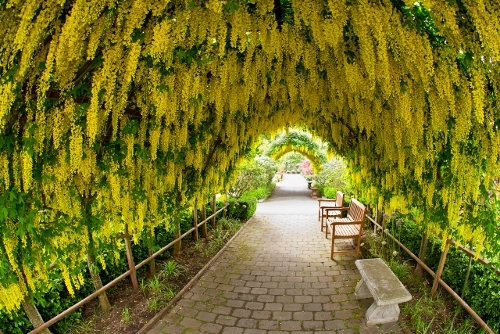 Residents and visitors alike look forward each year to the wonderful arbor of blossoming Laburnum at the Bayview Farm and Garden walkway in Langley. 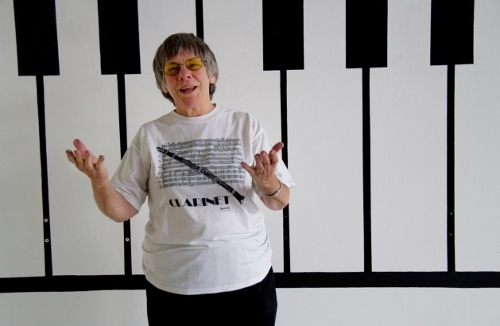 Avi Rostov is the mentoring angel that invites young musicians to play and learn at her Click Music shop in Oak Harbor. 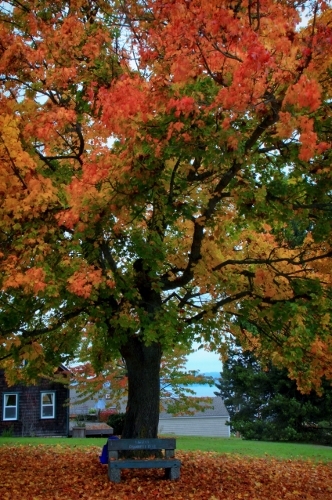 Fall comes to Langley in extraordinary living color. 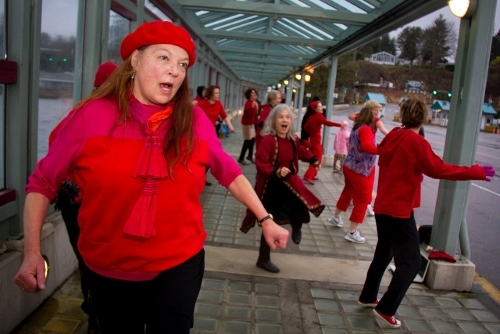 Kristi O’Donnell joins the flash mob that danced for the “One Billion Women Rising” event for women’s justice against violence on Valentine’s Day 2013 at the ferry terminal in Clinton. 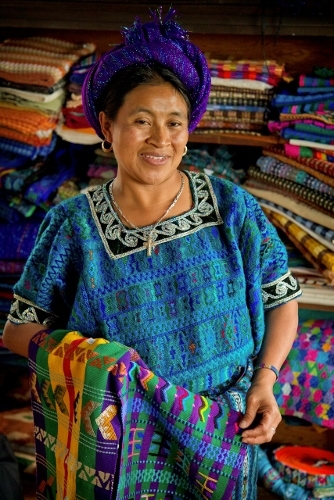 Dominga Laura Lopez de Halter welcomes customers into her Guatemalan weaving workshop in Clinton. 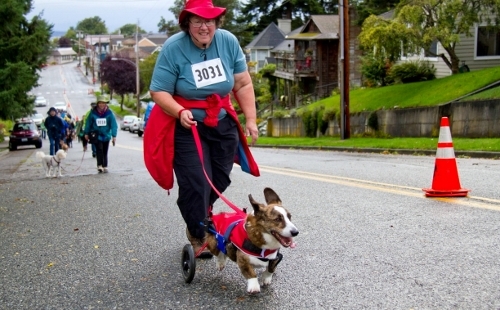 Bobbie Mayer and her dog”Oliver” get in on the PAWZ 5K in Langley with enthusiasm. 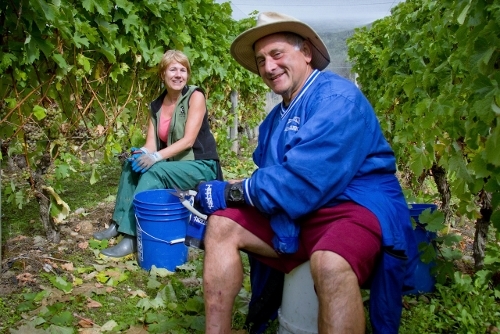 Grape pickers Anita McKinley and Rocco Gianni enjoy the day to help their local winery at Whidbey Island Winery in Langley. 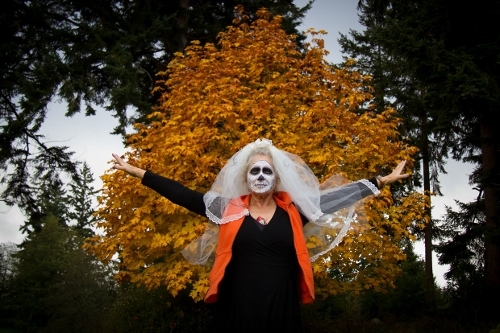 Ghostly creatures came out during Halloween weekend at South Whidbey Tilth Farmers Market in Bayview. 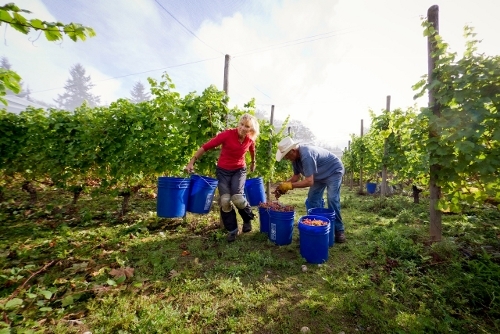 Hardworking grape pickers get it done at Whidbey Island Winery in September. 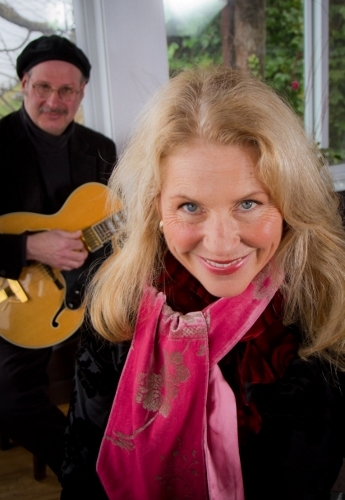 Keith Bowers and Nancy Nolan make music at Ott and Murphy Winery Tasting Room in Langley. 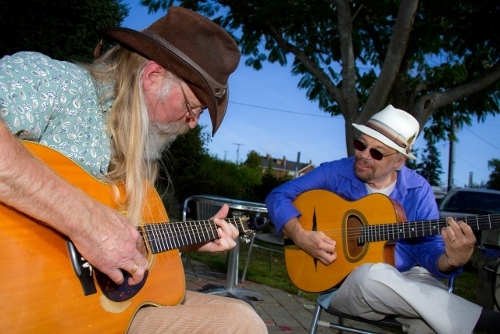 Russell Clepper and a DjangoFest visitor mix it up outside at a local jam in Langley. 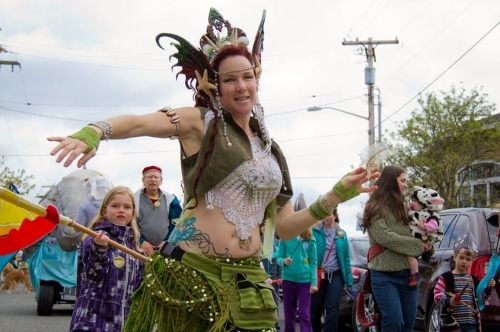 Belly dancer Siobhan Wright dances her way through the Welcome the Whales parade in Langley in April. 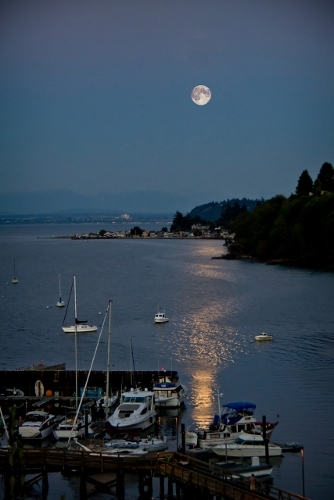 A moon over Langley Marina paints its reflection on the water in 2013. Yes!! Wonderful to have David come out to photo so many great Whidbey events. Hope he joins us again!! 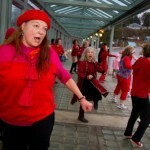 We will be remounting the V-Day RISE for women + girls non-violence on Feb 14. Sommer Joy Albertson + Maureen Momo Freehill will guide sponsored by Island Dance in Langley for our rehearsal space + times. All choreo + details will be posted on internet Feb 3-13. Contact Maureen Freehill at 206 855 5836 to get invite + details. Good Job David!!! We miss you.